AVIOR – ANTENNA TV OMNIDIREZIONALE PER IL DIGITALE TERRESTRE - DIAM. 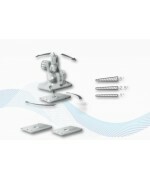 100 MM – 10 METRI DI CAVO COASSIALE - 12 VDC- CONNETTORE TIPO F. COMPLETA DI SUPPORTO PER FISSAGGIO SUL PONTE. 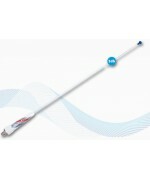 ANTENNA MARINA VHF - 3DB - 900 MM (35") - FIBRA DI VETRO - CAVO COASSIALE NON INCLUSO. 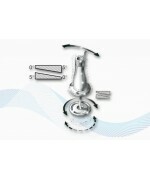 SET DI 3 SPESSORI RETTANGOLARI 0-1°, 0-2,5° E 0- 5° PER BASI A SNODO. 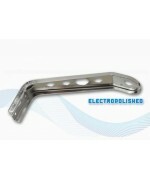 RA102 SET DI 2 SPESSORI ROTONDI 0-5° PER SUPPORTI UNIVERSALI GLOMEX. STAFFA IN ALLUMINIO PER INSTALLAZIONE IN TESTA D'ALBERO. STAFFA IN ACCIAIO INOX AISI 316 PER INSTALLAZIONE IN TESTA D'ALBERO. 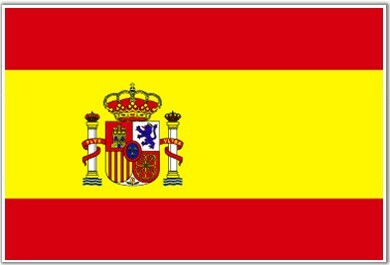 STAFFA AD L IN ACCIAIO INOX AISI 316 PER INSTALLAZIONE IN TESTA D'ALBERO. 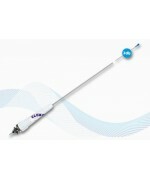 ANTENNA MARINA VHF - 3DB - 900 MM (35") - FIBRA DI VETRO - 4,5 M (15') CAVO COASSIALE. 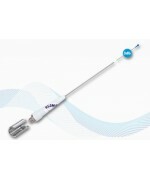 ANTENNA MARINA VHF - 3DB - 900 MM (35'') - FIBRA DI VETRO - 4,50 M (15') CAVO COASSIALE. 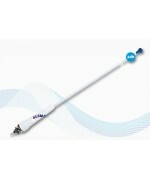 ANTENNA MARINA VHF - 3DB - 900 MM (35") - FIBRA DI VETRO - 18 M (59') CAVO COASSIALE. ANTENNA MARINA VHF - 3DB - 900 MM (35'') - FIBRA DI VETRO - 25 M (82') CAVO COASSIALE. 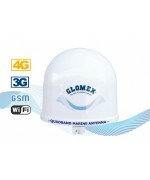 RA106ORBC- ORBCOMM - 3DB - 1 M (3') - FIBRA DI VETRO - 10 M (33') CAVO COASSIALE. 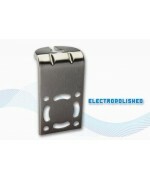 ANTENNA MARINA VHF - 3DB - 900 MM (35'') - ACCIAO INOX AISI 316. ANTENNA MARINA VHF - 3DB - 900 MM (35'') - ACCIAIO INOX CONIFICATO AISI 316 - 4,50 M (15') CAVO COASSIALE. 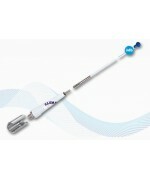 ANTENNA MARINA VHF - 3DB - 900 MM (35") - ACCIAO INOX AISI 316 - CAVO COASSIALE 4,50 M (15'). 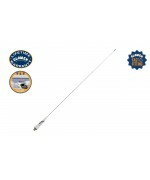 ANTENNA MARINA VHF - 3DB - 900 MM (35'') - ACCIAIO INOX AISI 316 - CAVO COASSIALE 18 M (59'). ANTENNA MARINA VHF - 3DB - 900 MM (35'') - ACCIAO INOX AISI 316 - CAVO COASSIALE 25 M (82'). ANTENNA MARINA VHF - 3DB - 900 MM (35'') - FIBRA DI VETRO - CAVO COASSIALE NON INCLUSO. 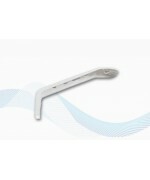 ANTENNA MARINA VHF - 3DB - 900 MM (35'') - ACCIAIO INOX - CAVO COASSIALE NON INCLUSO.